The expectations of the pregnant woman: ‘My baby will sleep and be awake in equal amounts and we will play and feed and I will have time to do it all, no sweat.’ The mom of the newborn says: ‘Wow my baby sleeps all day and is so good yet I feel like I have got time for nothing – I barely get myself to make a cup of tea in a day.’ Which a few weeks later becomes: ‘Oh my word I can’t get my baby down – he is awake all day, and now I don’t even shower in a day never mind make a cup of tea! !’ So what is reasonable – what should we expect – how much should our babies sleep? Newborns sleep more than most people imagine. I believe this is a coping mechanism to deal with the busy world and in fact works very effectively. You will probably find that in the first two weeks your baby will sleep an enormous amount and may also be very calm. Your sleepy baby may sleep from one feed to the next and often fall asleep during a feed. This is good for your baby so do not follow any advice to wake your baby unless he is not gaining enough weight. The only other exception is if your sleepy baby is going to stretch more than four hours between day feeds. In this case, wake your baby to feed. The newborn needs to go back to sleep after only being awake for 40 – 50 minutes, which means your newborn may well sleep for more than 16 hours a day, being awake only for feeds. 2 weeks – 3 months is when day sleep frustrations raise their ugly heads. Your sleepy newborn may now start to fight going to sleep and may only cat nap when he does finally fall asleep. It is not uncommon for moms to report that their baby is awake most of the day, sleeping fitfully in short spells during the day. These babies classically feed very frequently, have colic in the evening and wake often at night. If you find yourself in this predicament, it is probably directly as a result of a young baby not getting enough day sleep. Your young baby needs to go to sleep after only 45 – 80 minutes of being awake. This will result in around 15 hours sleep a day. 3 – 6 months down the line, you will probably be craving some routine or pattern to your baby’s sleep and may well have a very alert baby who is fighting sleep. During this stage day sleeps are regular and essential and you can start guiding your baby in a little routine. Put your baby back to sleep every 90-150 minutes and your baby will probably start developing a routine of two or three naps plus one longer day sleep. 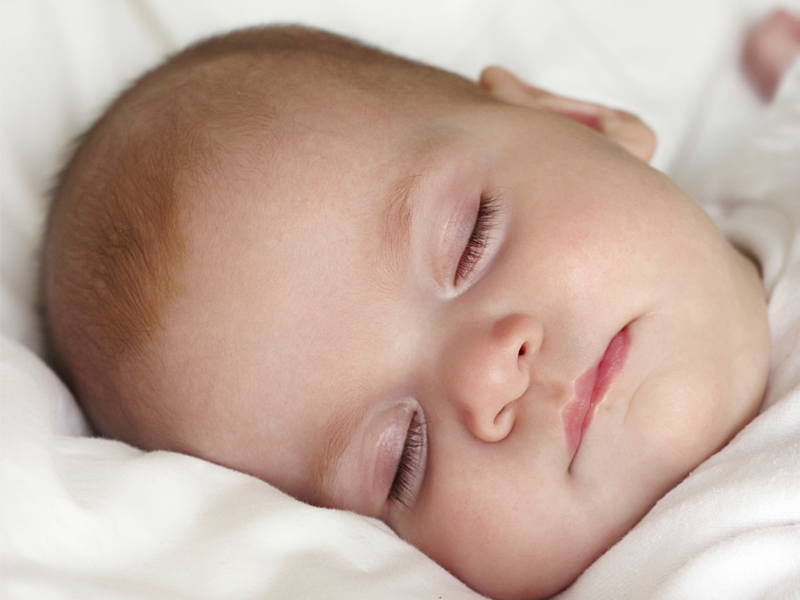 Your baby should be having about 14 – 15 hours sleep in a 24 hour period. 6 months to a year is the time when a proper day sleep routine emerges and your baby should start to link the sleep cycles during one day sleep, resulting in a longer midday sleep. Encourage this sleep and the one or two other naps, as your baby needs to sleep to help his brain process all the exciting information he processes during his waking hours. Your baby sleeps for 14 hours a day, usually 11 hours at night and three hours during the day broken into sleeps and short naps. Toddlers and preschoolers really resist day sleeps and it’s tempting to just ‘let it go’ and let your frazzled two year old collapse at night without a day sleep. The truth is these busy beings really need sleep. The common problems overtired toddlers have are fighting sleep at bedtime, frequent night wakings and night terrors. If you are facing this, you should really focus on having your toddler maintain the good habit of a midday sleep. If your preschooler won’t sleep, just a rest at midday will do. Toddlers sleep 13 hours a day and preschoolers need about 12 hours a day. In summary it is clear that babies and toddlers need a lot of sleep to process the stimulation of the world. The myth abounds that your baby or toddler will sleep as much as he or she needs – it is important to understand that this is not the truth and many babies need a bit of help to make sure they get enough sleep to develop well and be happily awake. This entry was posted in 1-3 Months, 3-6 Months, 6-12 Months, Baby, Sleep, Sleep, Toddler Talk and tagged Day Sleep, Sleep Advice, Sleep Routines, Sleep Training.